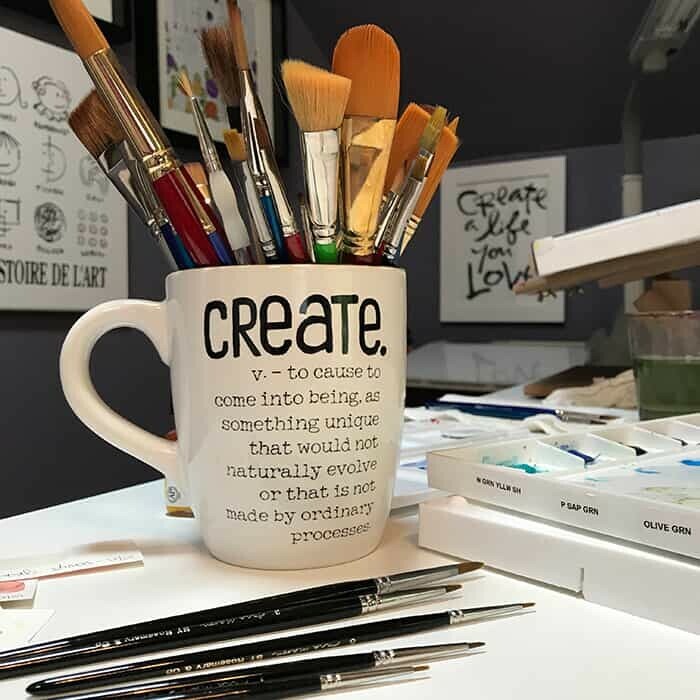 I’m an artist by passion and not education – I have a degree in Marketing and over 15 years of experience creating art collections that I license to retailers and manufacturers. You can find my art online & in retail stores around the globe on a myriad of items. Coffee mugs to framed art, dishes, garden flags, fabric, gift bags and more. I love the combination of art and business in the art licensing industry. Creating art that helps sell products is what I do best! It all begins with hand-painted art. Art is then scanned into the computer and compiled in Photoshop. Clients receive high-resolution, layered files that are flexible enough to adjust to any shape template needed for the end product. We often assist with concepts, layout and design – acting as an extension of our client's design team. Tara Reed is represented by Roaring Brook Licensing. Contact them to view her entire portfolio and discuss your art licensing needs.